Hello everyone and welcome to the Taylored Expressions February Release!!!! 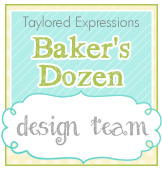 Today is the day that all the fabulous new goodies will be available for purchase from the Taylored Expressions Store...you can find them in the *new* section found here. I can't wait for you to see what we created for you today!!! My first card features the Little Bits - Carrot die...the carrots were cut out of Candy Corn and Granny Smith card stock and they were adhered to a piece of Sugar Cube card stock and cut out with one of the Egg Stacklets dies. The cute little bunny from the Tag-a-Long-Easter set was stamped several times in the background and again on a piece of scrap paper, colored with Copics, cut out with the Tag-a-Long-Easter coordinating die and popped up with foam tape. The patterned paper is from the previously released Rainbow Brights 6x6 paper pack and the rick rack die from the Skinny Mini Borders 2 die set was used to cut the rick rack border. The sentiment is from the Tag-a-Long -Easter set and the round eye die from the Sack It - Monster die set was used for the sentiment tag. The orange Baker's Twine is the finishing touch. 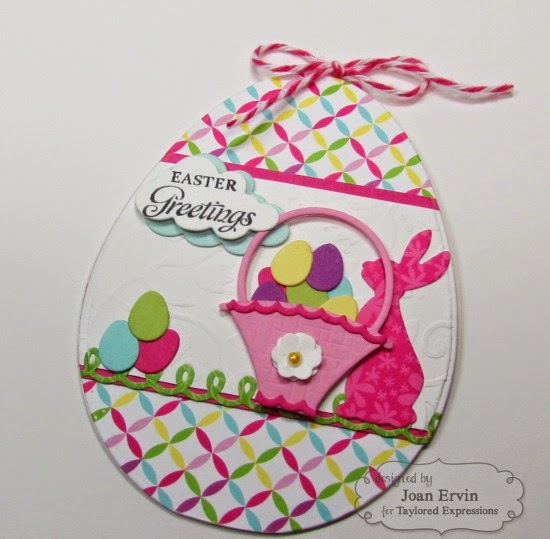 An Easter scene was created on the Egg Stacklets card with the Little Bits - Easter Confetti and the Little Bits - Easter Basket dies. The basket was decorated with a scalloped diecut that was cut with one of the Skinny Mini Borders 2 dies and one of the Little Bits - Easter Confetti dies was used to cut out the flower. 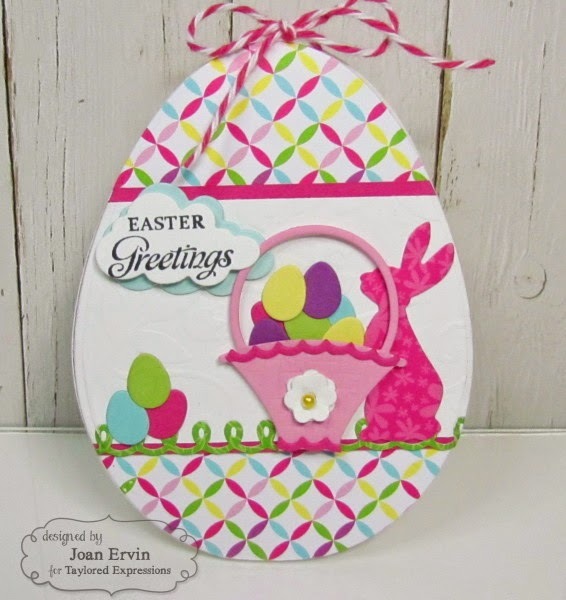 Several different TE card stock was used for the eggs and one of the Hippity Hop dies was used to cut the bunny out of a piece of patterned paper from the For Peeps Sake 6x6 paper pack. 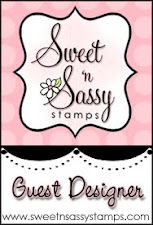 The background Sugar Cube layer was embossed with the new Leafy Vine embossing folder and the patterned paper is from the For Peeps Sake 6x6 paper pack. 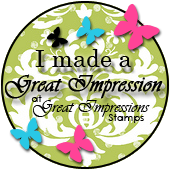 The sentiment from the previously released Calla Lily Bouquet stamp set was stamped on the previously released Cloud Duo die cut and the *grass* cut with one of the Skinny Mini Borders 2 dies, twine, and a tiny pearl in the flower finish it off. Thanks for joining us this week for the Taylored Expressions February Release....I hope you found a little inspiration along the way!!!! 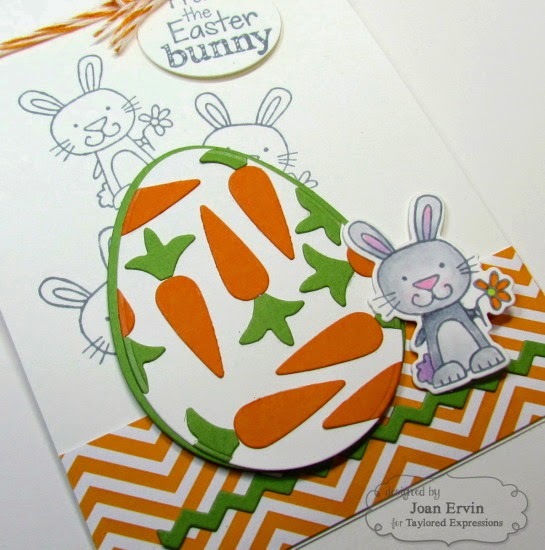 Awww these are both So cute Joan… I love the wonderful carrot-filled egg… it looks so cool… and the 2nd card is very pretty… love the fab easter basket and the gorgeous background !! Sweet Easter cards Joan. Especially love the second... I love shaped cards and that egg is just perfect. 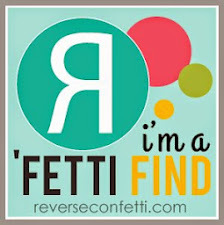 Love the colorful papers and die-cut images. Sweet little scene. Both of these are too darn cute! 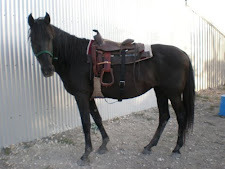 Ohhhh how sweet!! Both cards are lovely!! Oh Joan, these are just fantastic! Adorable Easter cards Joan!! I esp love the second one, and the 1st one with the one colored bunny is so cute!! These are so cute Joan..Love the egg shaped card. 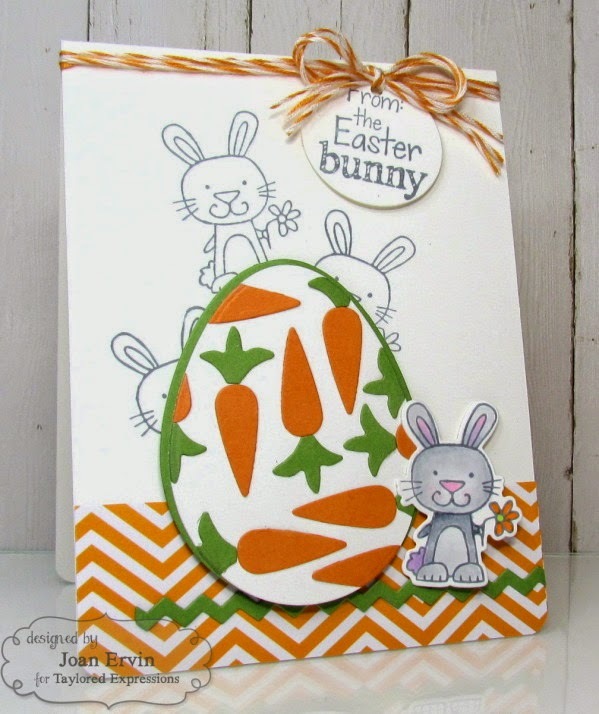 Adorable bunnies and carrots, gorgeous paper and basket Joan.